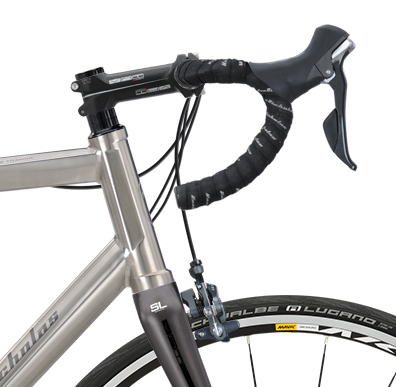 The pinnacle of Van Nicholas titanium frame designs. 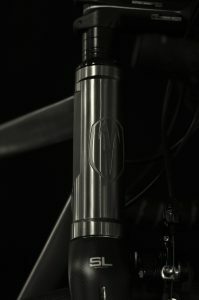 The Astraeus is simply stunning both in appearence and the ride experience. 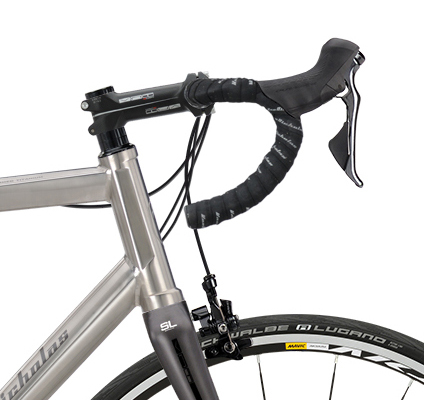 It is arguably the most impressive titanium frame road bike we know. 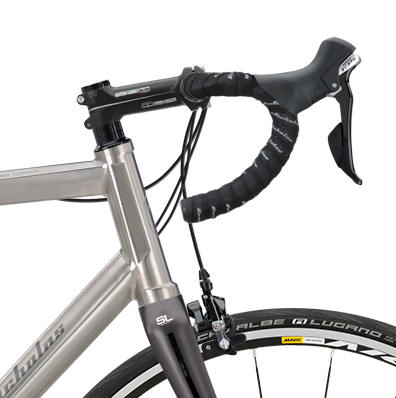 All the Van Nicholas frames are exceptional but the Astraeus has that extra form and beauty that demonstrates what can be achieved by thoughtful design. 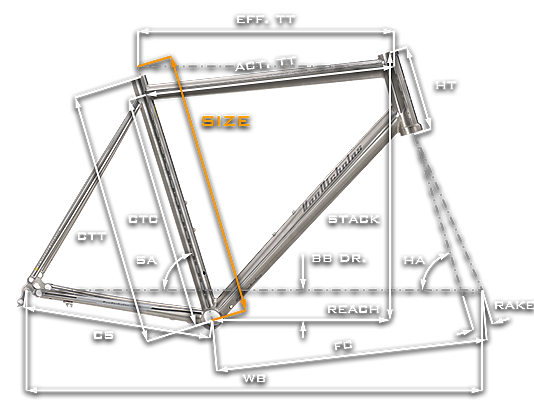 The Astraeus frame is hydoformed. 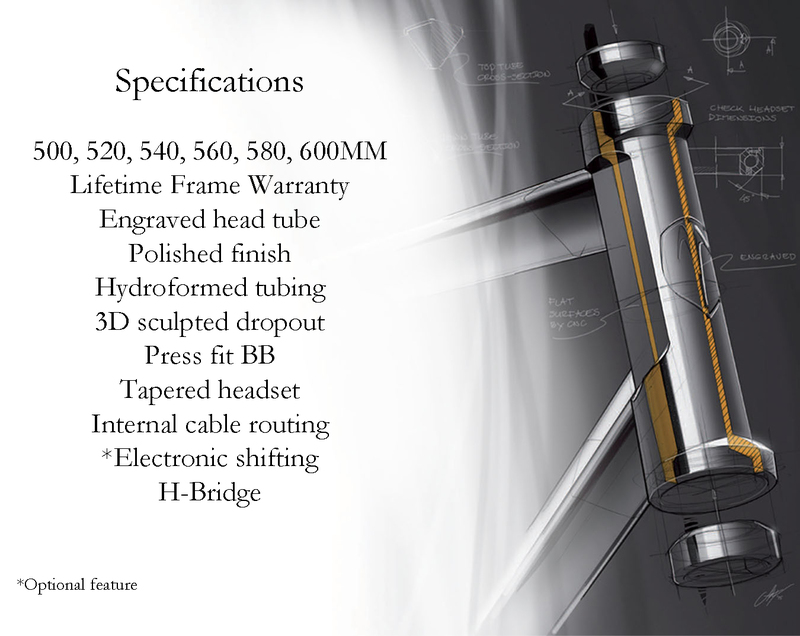 That is to say that the frame tubes are formed under hydraulic pressure in dies. 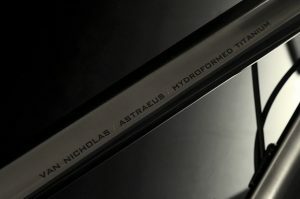 The benefit of hydroforming is that stiffer seamless tubes can be created, stiff in the correct points of mid tube and end joins, and stiff via shaping. Hydroforming titanium is an expensive process but it permits the freedom for a superior product and beautiful design. 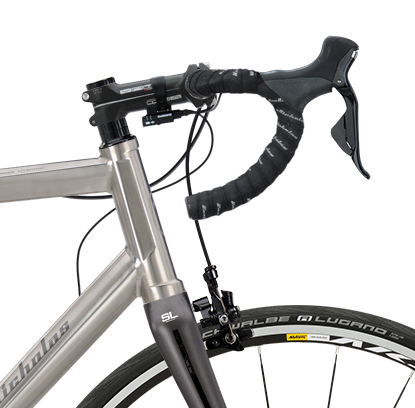 The Astraeus is available in a factory built model with your choice of groupset. 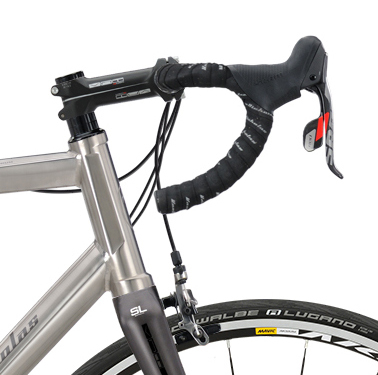 Each groupset represents the finest avilable within specific budgets. 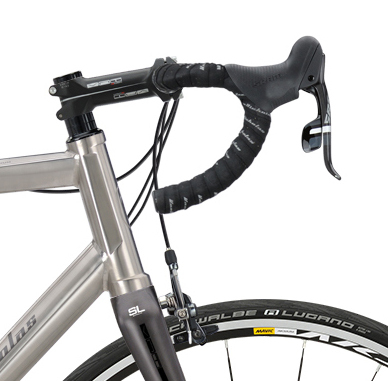 Astraeus fitted with Shimano 105 – 11 speed. Front brake. Front and rear mech. 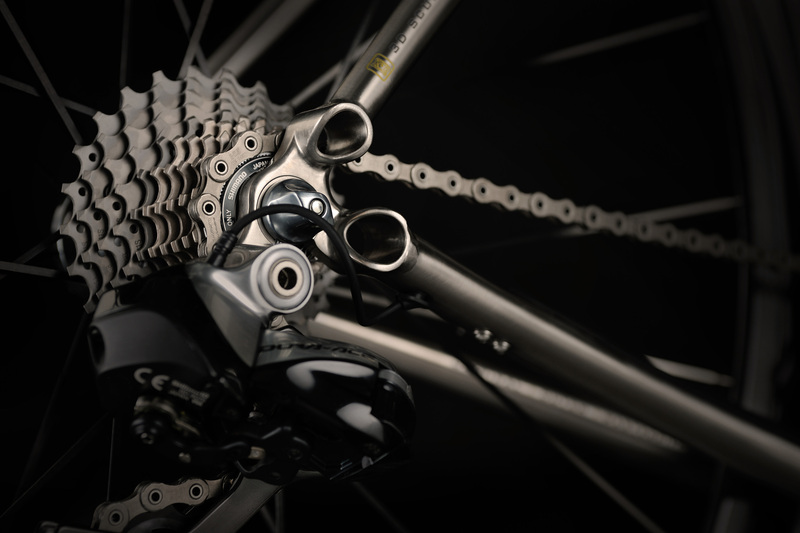 Astraeus fitted with SRAM Force 1 – 11 speed. Front brake. Chainset and rear mech. 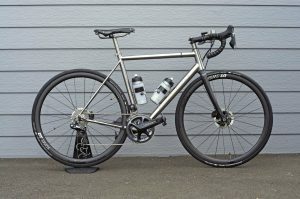 Astraeus fitted with SRAM Force 22 – 11 speed. Front brake. Front and rear mech. 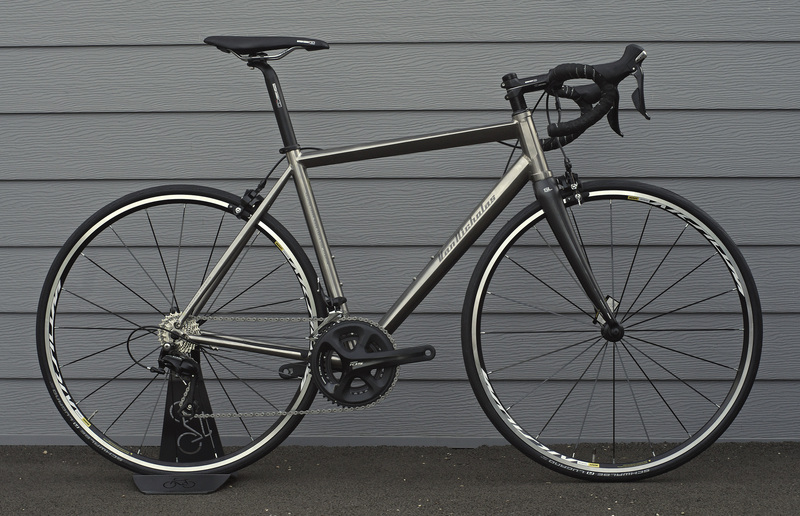 Astraeus fitted with Shimano Ultegra – 11 speed. 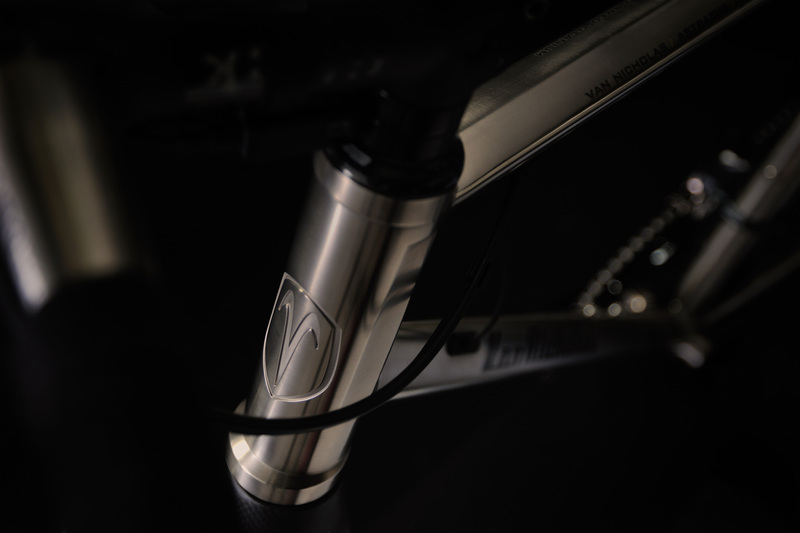 Front brake. Front and rear mech. 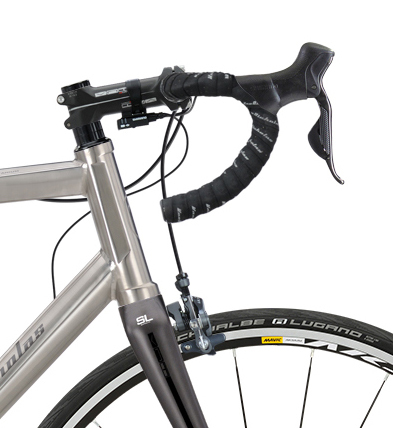 Astraeus fitted with Shimano Ultegra Di2 – 11 speed. Front brake. Front and rear mech. 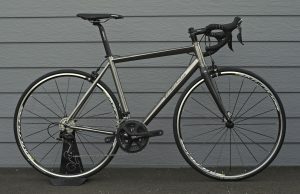 Astraeus fitted with Shimano Dura-Ace – 11 speed. 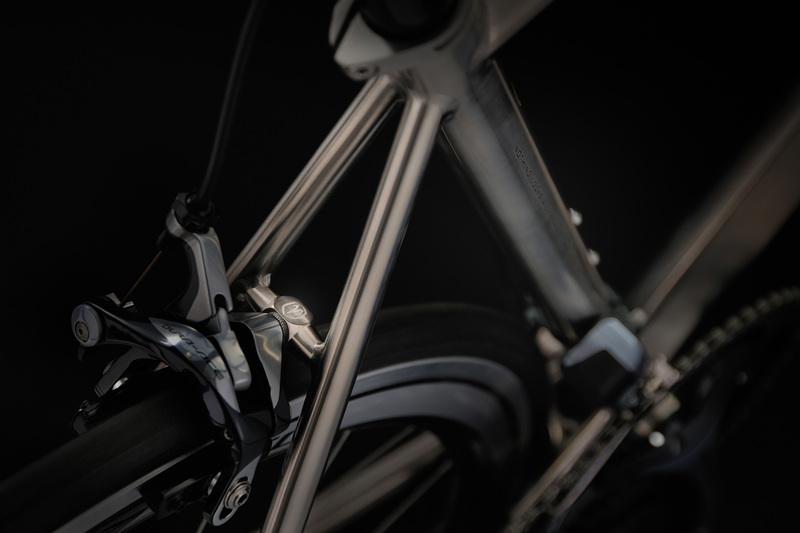 Front brake. Front and rear mech. 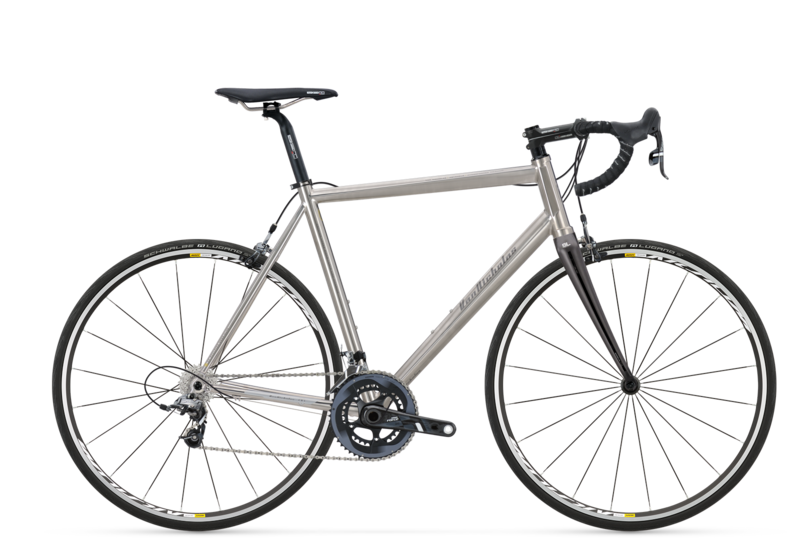 Astraeus fitted with SRAM Red – 11 speed. 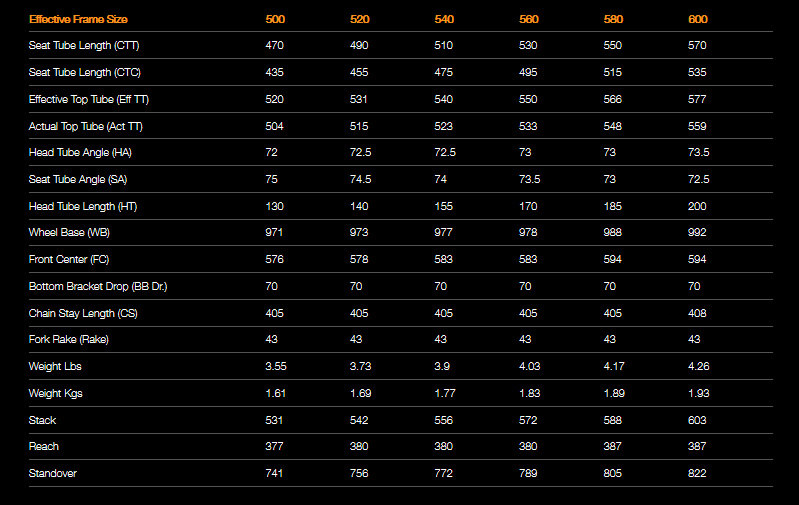 Front brake. Front and rear mech. 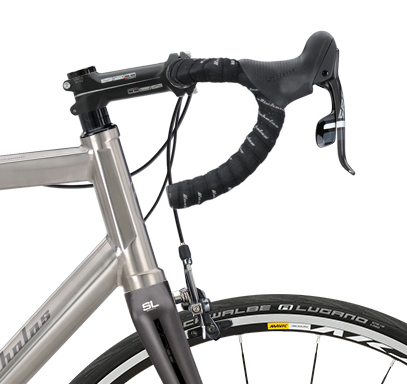 Astraeus fitted with Shimano Dura-Ace Di2 – 11 speed. 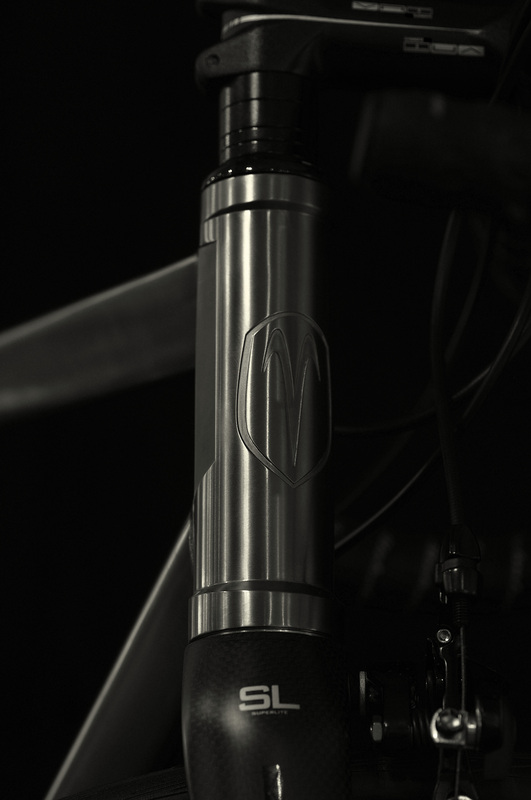 Front brake. Front and rear mech.